Great product photography of clothing helps sell great clothing brands. 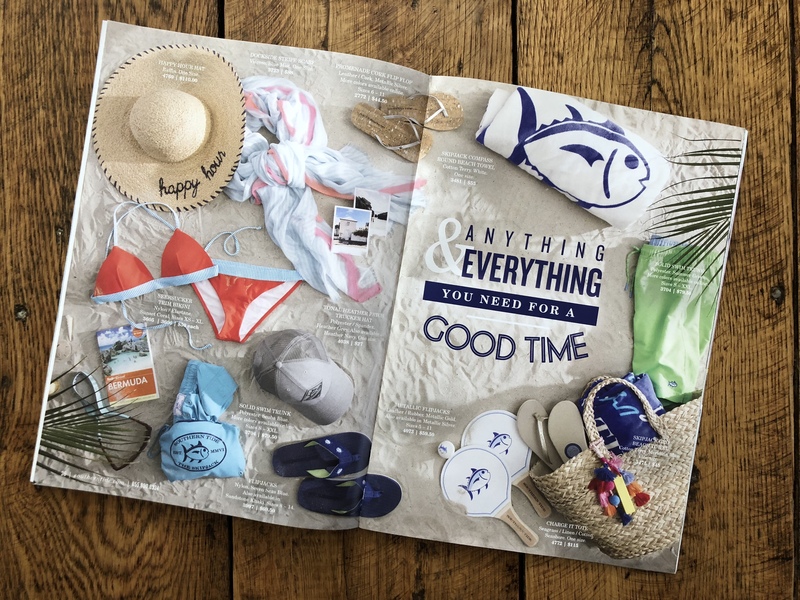 Southern Tide based in Greenville, South Carolina, understands the value of putting together professionally styled lay flat clothing studio photography with inspirational location lifestyle photography of models wearing their brand. Commercial photography studio Exum Photography was responsible for the off-model photography for their 2018 spring catalog. 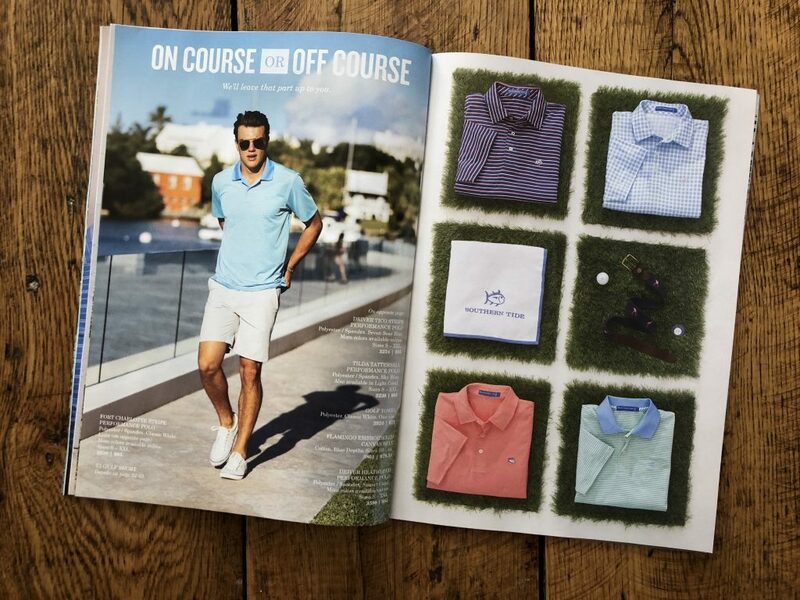 The catalog features multiple spreads with a lifestyle shot of a model next to a studio product-only shot of their clothing professional arranged and lit by Exum Photography. The lifestyle shot helps define the brand while the studio product shot helps identify exactly what clothing is being marketing as well as more color options of the same style. Commercial photographer Steve Exum partners with talented apparel stylist who understand the nuanced skill of stying for lay flat and tabletop clothing photography. While the models worked on a photo shoot in Bermuda we created our lay flat scenes with Bermuda inspired colors and props. Our two favorite shots were the polos on squares of turf and the beach scene with sand from North Carolina’s crystal coast. Our state has some of the most beautiful and fine white sand in the world and routinely I’ll bring a box of sand back from vacation. The palm branches came from our neighbor and friend Ami Piatt who has probably given us a 1/2 dozen palm branches over the last couple of months as finding these plants in the winter was impossible. With a little creative ingenuity, we brought Bermuda to our studio, which incidentally is located in Elon, North Carolina between Raleigh and Greensboro. To see samples of similar work please check out the Apparel Photography services page.